Go Go had three big brothers. When Walter’s clothes were too small for him they went to Max. When they were too small for Max, they went to Finn. And when they were too small for Finn, they went to Go Go. But some people didn’t think so. Go Go is the youngest child, and the only girl in a happy, outdoor-loving family. She is hand-me-down queen despite unsolicited feedback from Annabelle and her cronies. The only non-hand-me-down exception is Go Go’s footwear. Her new shoes are sparkling silver and she wears them everywhere. Until disaster strikes. 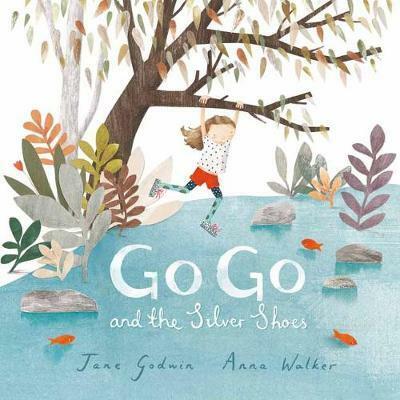 Jane Godwin’s words and Anna Walker’s art work together seamlessly for a beautiful story about family and friendship. What’s not to love about sparkling silver shoes?